Jeddah: Saudi female singer Loulwa Al Sharif had her all-Saudi audience mesmerised while she sang to Frank Sinatra’s “Fly Me to The Moon” at a public concert recently held Jeddah. As the night went on, Al Sharif sang songs by Eric Clapton, Santana, Sade and Adele. When her last song “I’ve got a woman” ended, the energetic crowd asked for more and she sang Nat King Cole’s “LOVE” and Santana’s “Black Magic Woman” for them before taking the final bow. The Saudi government has allowed musicians to play live in public since last year as part of reforms undertaken by Crown Prince Mohammad Bin Salman. Private concerts have long been a hidden affair in Saudi Arabia, but in the past few months there has been a surge in public concerts as local and international musicians graced the sold-out shows. 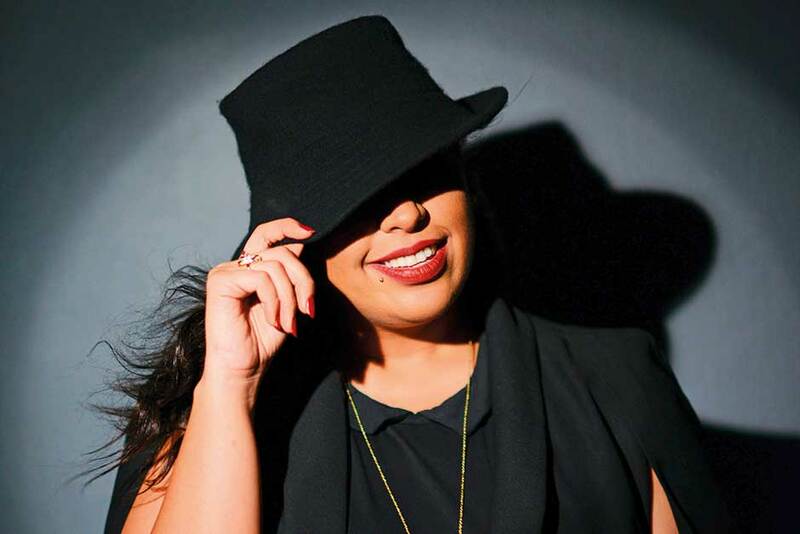 The Jeddah-based singer is the first Saudi female singer to be officially allowed by the General Entertainment of Authority to sing at public concerts. The 30-year-old self-taught singer was however lucky to have her parent’s support when she started her singing career a few years ago. Al Sharif has a passion for soul, blues and jazz. Beth Hart, Buddy Guy, Peggy Lee, Sade and Nina Simone inspire her. “Their music touches my soul. I sing their songs and also of other contemporary artists, but I always try to be a little different and put my own touch to the songs,” she said. Al Sharif loved music since childhood. She would listen to Arabic songs and would then enjoy performing them in front of the mirror in her bedroom. After completing high school, Al Sharif chose to work and learn music instead of going to a university. Along the way, Al Sharif made friends with some Saudi musicians and went to create music in underground studios where she practised singing in English. It was there that she met Jeddah-based guitarist and blues lover Moiz Rahman who also had a band. They decided to collaborate and play in front of a small audience at a private compound. It was Al Sharif’s first private concert in front of a live audience. The response was overwhelming, and thereafter they had many gigs to their credit. Eventually, Al Sharif formed a band of her own and cautiously made a name for herself by singing at private parties, weddings and company events. While many Saudi musicians who held private concerts experienced run-ins with the religious police, Al Sharif was lucky to not have encountered any such difficulty. However, Al Sharif occasionally came across people who criticised her for adopting singing as a career. She says she believes attitudes are slowly changing in the country and is excited to pursue her singing career more openly now.